Anap Foundation has commissioned opinion polls for every Presidential Poll and many Governorship Polls since 2011. The results of the extensive polls conducted, on our behalf by NOI Polls, for the 2019 Presidential elections indicate that respondents who were undecided and/or unwilling to disclose their candidate (the Undecided) at the time of the Poll (end-January) were a whopping 38% of the total voters’ sample. 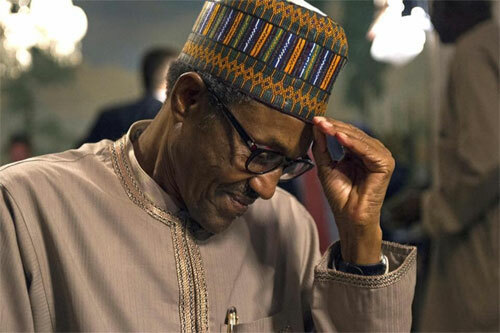 The Poll findings confirm that President Mohammadu Buhari (PMB) of the All Progressives Congress (APC) and Atiku Abubakar (Atiku) of the People’s Democratic Party (PDP) are clearly in a two-horse race, as all other Presidential candidates polled embarrassingly insignificant numbers. The gender split of the Undecided between women and men is 49:29. The geographical split of the Undecided is also uneven – it is highest in the South East (SE), South West (SW) and South South (SS) Zones with Undecided votes of 53% , 49% and 45% respectively. Conversely, the North East (NE), North West (NW) and North Central (NC) Zones were at the lower end of the spectrum with Undecided votes of 22%, 25% and 35% respectively. The biggest negative of Buharinomics is allowing rogue and/or lily-livered and incompetent regulators to harass innocent private sector businesses as they try and shake them down for unwarranted and horrendously large fines by peddling falsehoods against them. The business community then takes fright and investors flee thereby sending the economy into a tailspin. A recent case in point was the preposterous $8bn allegation against MTN. This is where PMB’s kitchen cabinet have let him down terribly. An old man relying on an Official Deputy or his Chief of Staff as his right hand men is normal and permissible/expected. Supplanting or subverting these responsible officials via undue deference to a coterie of nepotistic and/or shady influencers who exercise real power without responsibility in the President’s name is PMB’s Achilles Heel. Discerning Nigerians do not want a “De Facto” President (or two) who never come out of the shadows to subject their archaic ideas to public scrutiny and debate. It could all have been so different for PMB. All he had to do was execute an anti-corruption drive systematically without bias or favour, uphold the rule of law e.g. release the brutalised Shiite leader and stop rogue regulators from harassing the private sector. Then, many would have ignored the fact that Nigeria, under his watch, now leads the world in extreme poverty rankings and also threatens to become the illiteracy capital of the world, measured in terms number of school age children that are not in school. Curiously, the best descriptions of PMB’s failures come from his family, friends and loyalists. They are the ones who told us everything that we feared but were unsure about e.g. that he is not in charge, but is controlled by 2 or 3 men, or that his anti-corruption drive is jaundiced because he uses insecticides on his political enemies whilst applying deodorant on his own equally guilty associates and friends. By bastardising the anti-corruption drive, the heads of the security agencies did Buhari a great disservice. Party faithful who publicly invite the biggest rogues to come over to APC (and many obliged) in order to enjoy immunity poisoned the waters further and make us wonder if our President (supposedly high on integrity) is really aware of what is going on around him. PMB’s campaign has been beset with missteps and personal blunders. Even when interviewers chose to inexplicably handle him with kid’s gloves he managed to misunderstand basic questions and/or to commit one gaffe after another on the campaign trail. He, thereby, portrayed himself (to Undecided and swing voters) more like a patient in need of help/sympathy, than a political icon/strongman. In the final week before the Presidential elections the APC faces a “Catch 22” situation. They can hide PMB away to ensure no more embarrassing public gaffes and gamble that Atiku (even with a powerful closing campaign) will still not catch and overtake PMB or they can send PMB out on a final push on the campaign trail and risk more gaffes which may create further doubts in the minds of the huge army of undecided voters and tilt them towards Atiku. Wheeling PMB out without allowing him to speak is a terrible option. A case of dammed if you do and dammed also if you don’t ?